A Valentine’s Day Getaway at The Captain’s Manor Inn might be just the treat you are looking for in the cold days of winter. 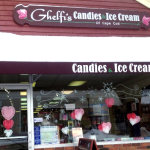 When you arrive for your getaway you will find a special box of handmade chocolates from local chocolatier ,Ghelfi’s Candies, and a long stem rose in your guestroom. You can also select to add a premium romance package or other goodies to your booking. The beauty of Falmouth Cape Cod in winter is that the town is open year-round. 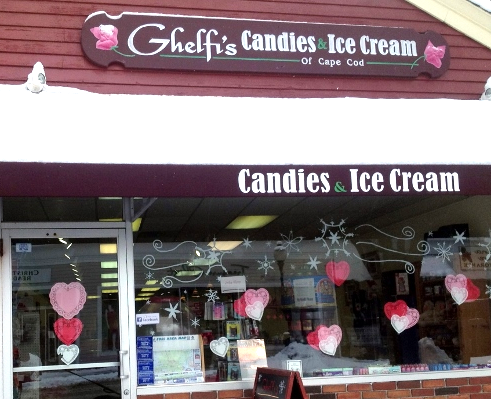 You can enjoy a stroll down Main Street in Falmouth Village and take advantage of the many unique boutique shops where valentine specials will be readily available. Maybe you are looking for a new outfit for your valentine dinner….perhaps Port Cargo, Treasure Chest, or Green Eyed Daisy will have the outfit for you. It might be a unique candle, piece of art, jewlery, pottery or other gift is what you are after ……check out such great shops as Vagabond Treasures, The Pink Polka Dot, Twigs, Touche, Celebrations to name a few. After your shopping stroll stop in at any of several restaurants like Stone L’Oven or Bear in Boots Gastropub for lunch. Now it might be time to walk off your lunch and it is a wonderfully peaceful time to walk and perhaps take in Falmouth Harbor or Surf Drive Beach or any of the many walking trails by such locations as Spohr Gardens, Oyster Pond or Beebe Woods by Highfield Hall and Gardens. Come on back to the Inn to relax and get ready for a romantic dinner at The Glass Onion or CSalt restaurants. There are a number of other options for dinner such as La Cucina Sul Mare or Anejo Mexican Bistro. The most important part of all is the special quality time with your sweetheart away from the hustle and bustle of everyday life and obligations. Whatever you do we wish you a wonderful Valentine’s day!